Do you ever sit back and imagine what it would be like to really win BIG? What would be the first thing you would buy? This may seem like the stuff of dreams but they really could happen. This is especially true in this bingo promotion as you can WIN £1 Million for just £1 at Posh Bingo!! This is definitely a BIG prize to be had and you could be forgiven for thinking it is a special one off promotion. However, the chance to win £1 million for just £1 at Posh Bingo is in fact a game that plays every single week. You could in reality become a millionaire every single week in this terrific sliding jackpot game of bingo. The game plays each Friday night at 10pm with tickets costing just £1 each. You only need to have one single ticket to be in with the chance of a win, however you are allowed to purchase up to a maximum of 96 if you wish. 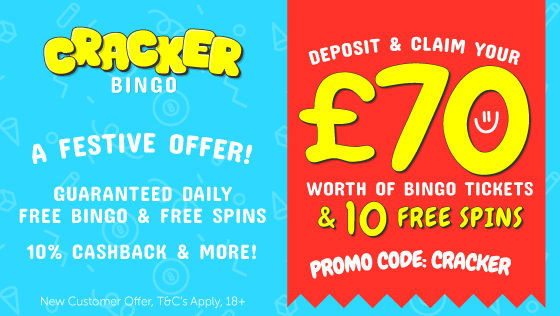 As this is a sliding jackpot game, the quicker you can call bingo, the bigger the prize, with the top prize being to take away a whopping £1 million. To win £1 million for just £1 at Posh Bingo you will need to call bingo in 40 numbers or less. If you do this and you are the single winner you will be an instant millionaire. However, if not and more numbers are called then the jackpot drops i.e for 41 numbers called the prize is £500K. At 42 numbers called the prize is £250K. The jackpot prize will continue to reduce until a winner is found. A full breakdown of the prizes in relation to the number of calls is available on the Posh Bingo website. The good news is that as a minimum, you are guaranteed to win £1,000 which in itself is a good prize to be had. This will be won on 54 or more numbers called. If there is more than one winner when the jackpot is won at any level, it will just be split equally. The game is only open to funded players but this would need to be the case to be able to purchase your tickets. Posh Bingo is brought to you by the same team behind Wink Bingo and 888 Ladies, so there is a lot of knowledge in bringing players a great bingo experience. New players to the site can also get £25 free when making a £10 deposit. 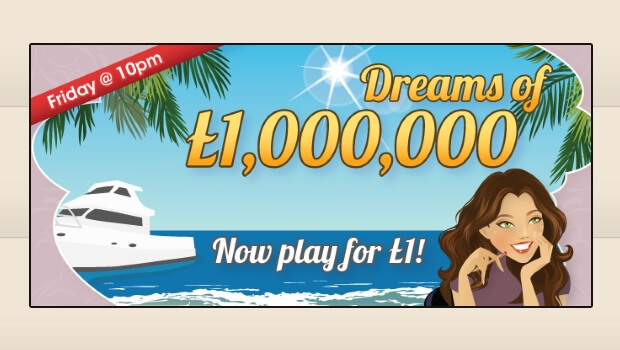 So if you fancy the chance to win £1 million for just £1 at Posh Bingo then why not join and pre-buy your tickets today!